What Is an Unsecured Ratio? 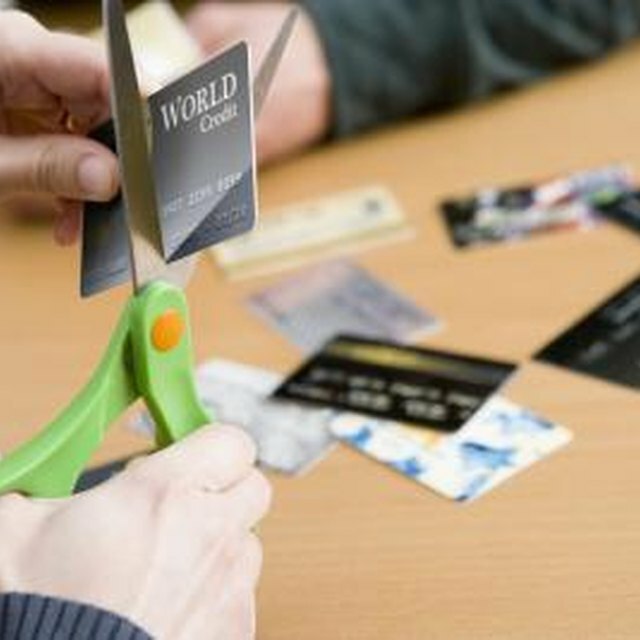 Does Debt to Income Affect Credit Card Approvals? A "reasonable" amount of debt varies from person to person. For example, having $30,000 in unsecured debt is a red flag if you're only making $50,000 a year. But, $50,000 in unsecured debt isn't a problem if you're bringing in $1 million. To quantify this relationship, lenders use a figure known as the unsecured ratio. Your unsecured ratio is an accurate measure of your current financial health. The ratio is defined as the level of unsecured debt you have relative to your annual income level. The unsecured ratio equals your unsecured debt divided by your annual income, multiplied by 100, which converts it to a percentage. Your unsecured debt includes any amounts you owe that aren't secured by collateral, such as a house or car, and it includes credit card debt and personal loans. For example, say you carry $8,000 on your credit cards, $12,000 in personal loans and your annual income is $80,000. Divide your total unsecured debt of $20,000 by $80,000 to get 0.25. Then, multiply 0.25 by 100 to find your unsecured ratio is 25 percent. Notice that if you increase your income or decrease your debt, your ratio goes down, and if you increase your debt or decrease your income, your ratio goes up. Lenders don't like to make additional unsecured loans to people with high existing unsecured ratios because that's tacking on additional debt to someone who's already overextended. Banks often see unsecured ratios of above about 20% as potentially dangerous. When you get above 20 percent, your prospective lender might lower the amount it will lend or require you put up collateral. If you exceed 30 percent, you will likely encounter trouble just getting an unsecured loan, because lenders are concerned you might not be able to pay it back. What Are Good Debt-to-Income Ratios for Auto Loans? There are two ways to improve your unsecured ratio: pay down your unsecured debts or increase your income. In many cases, since credit cards and unsecured loans typically have high interest rates, paying down your balances offers additional benefits of lowering your annual interest expenses. For example, if you take the $100 you spend each month on coffee and pay down your high-interest credit cards, you'll save money on interest and lower your unsecured ratio. Increasing your income can also help, but it might not be realistic depending on your circumstances. Your unsecured ratio isn't the only thing lenders look at when making loans. Though it's important, it's also important to have a good credit score and a good debt-to-income ratio. Your credit score is based on your financial history including your payment history, how long you've had credit, how much debt you have in total, the types of loans you've used and how many new loans you've applied for recently. Your debt-to-income ratio measures your monthly debt payments relative to your monthly income. If you're not sure exactly what your credit history looks like, you can request a free credit report each year from each of the major credit reporting bureaus. If you review your report and find any inaccuracies, you can contact the credit bureau to request that it be fixed. Investopedia: What's Considered a Good Debt-to-Income Ratio?